I've been looking forward to giving Nation Red a go, as it is a few years old but still highly rated by a lot of people. Note: Developer sent in the key. Note #2: Developer gave me additional keys to give away. They will be given away to people watching the GOL birthday livestream next month! The game has major issues when using more than one monitor, which forced me into playing it in Windowed mode. With two monitors on the resolution picker was also really buggy, it went from 1680x1050 directly to 5760x2160 (both of my monitors). Having two monitors while gaming on Linux is such a pain, too many games don't handle it well at all. I had to turn off my second monitor just to give it a go and not play in a really weird resolution. I seem to be unable to select any AA, as the option looks greyed out. On each restart my option of fullscreen is reverted back to Windowed mode. Gameplay wise it actually seems to be quite nice. I mean it's a pretty standard wave shooter with zombies, but the perk and drop system is where the game shines. Each time you level up you get to pick different perks to help out. One particular perk I got during a run enabled my character to shoot poison darts automatically every so often, amusing, but aren't they already dead? The drops can include sentry guns (extremely useful), mines, additional weapons and much more. One of my favourite pickups has to be incendiary ammo, watching those zombies light up was pretty fun. The grenades are slightly annoying, as you seem to explode them from within yourself rather than throwing them which looks odd. It has multiple different game modes to keep you interested, local co-op and online play as well. Overall if you like your survival/arena shooters with top down views, then it's easily worth it at the price. I do hope the developer can sort the windowing issues out though, as it made it a real nuisance to actually play it for me. Nation Red is an ultra fast infinite play arena-based shooter providing an exceptional close-quarter battlefield experience. 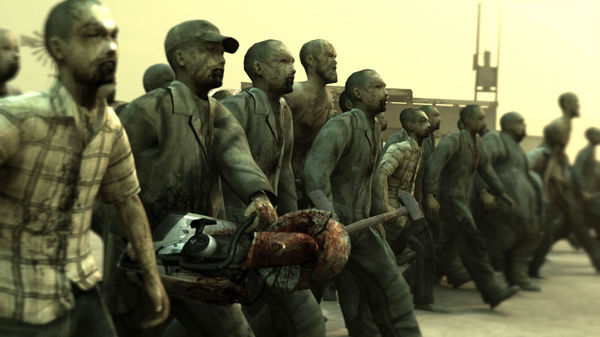 Fight thousands of zombie mutants and their bosses in frantic bloody gameplay while earning close to 100 perks. Fight in Barricade, Survival or Free Play mode. Play On-Line in coop, in single player or in local coop! It's also on sale for another few hours. Honestly, multi-monitor gaming on Windows leaves a lot to be desired as well. This is fun co-op game. Things get CRAZY after a couple dozen waves. start windowed, press alt+space, navigate to fullscreen. Bought it but I am having controller issues on Steam OS. Neither my steam controller nor my Xbox 360 wired controller work. I've tried calibrating but I get stuck halfway through when it asks for dpad input. All the buttons except for start and menu are no longer recognized. I'll go to the support page in a bit. AbacusSwitch Bought it but I am having controller issues on Steam OS. Neither my steam controller nor my Xbox 360 wired controller work. I've tried calibrating but I get stuck halfway through when it asks for dpad input. All the buttons except for start and menu are no longer recognized. I'll go to the support page in a bit. AbacusSwitch Neither my steam controller nor my Xbox 360 wired controller work. I am having the exactly the same problem. Hopefully it gets fixed, because I would love to kill some zombies in local coop. I have owned the game for years. It's not bad, I am just not in the mood for this kind of game anymore. Never did finish it. Never a bad thing to get more Linux games though. Having two monitors while gaming on Linux is such a pain, too many games don't handle it well at all. I had to turn off my second monitor just to give it a go and not play in a really weird resolution. I have a script that disables or enables my 2 monitors that flank my main display. It makes it a lot easier to go between working and gaming. Of course, use xrandr to substitute your own video output types.